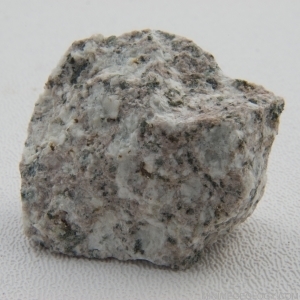 Monzonite is a dark gray to green, intrusive igneous rock. Major minerals include feldspars, pyroxene, and hornblende. Monzonite has a medium-grained texture due to slow cooling below the land surface.